We have some amazing places to eat within a few miles of our cottages. 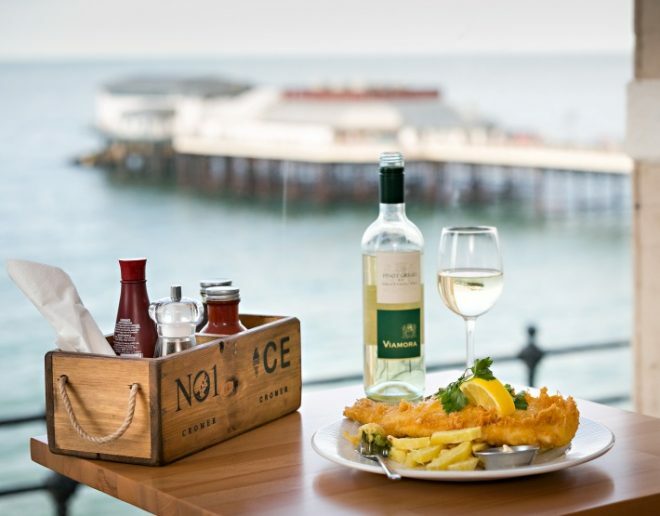 North Norfolk is famous for its Cromer crab and seafood – why not try these local delicacies in a variety of pubs and restaurants? Most try to source local produce when ever they can. The Saracens Head is a short walk (approx. 15 mins) from Swallow Cottages, Wickmere. The White Horse is a short walk (approx. 5 mins) from our Overstrand cottages. The Roman Camp is a short walk (approx. 15 mins) from Hollybrook Cottage. 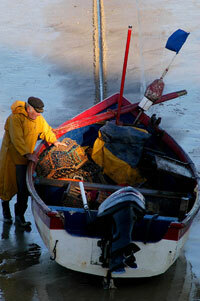 Can be found on the coast between East and West Runton. The cafe serves freshly caught sea food and fish, although they do not have a full licence you may take your own bottle. Eat in or take away delicious fish and chips, locally sourced produce is at the heart of the menu. “Upstairs at No 1” serves a more unique menu, such as Paella, Fish Stew and Cromer crab burgers. Cookies overlooks the Salt Marshes and is a wonderful setting to sit outside on a summers day and enjoy a selection of platters, salads, sandwiches plus hot and cold drinks. You can take your own bottle to enjoy with your meal if you wish. This Georgian inn was once part of the Wolterton Estate. Now serving good honest food, locally sourced and as seasonal as possible. 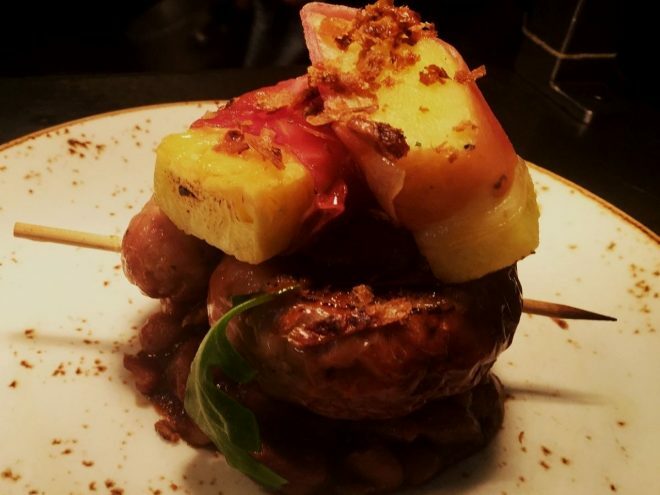 The menu includes award winning meat from Blickling, wonderful freshly caught fish from the 90 miles of magnificent North Norfolk coast and free range eggs from the farm gate in the next village. An 18th century pub set in the pretty village of Itteringham. Lovely garden to sit out and have a meal on a summers day. The menu is quite extensive, from pan roasted free range chicken breast, confit shallot and orange braised chicory to ricotta gnocchi, with wild mushrooms leeks, acid butter and black pepper. Seaside pub in the historic village of Overstrand. This traditional pub offers a lawned beer garden equipped with children’s play area and games room. 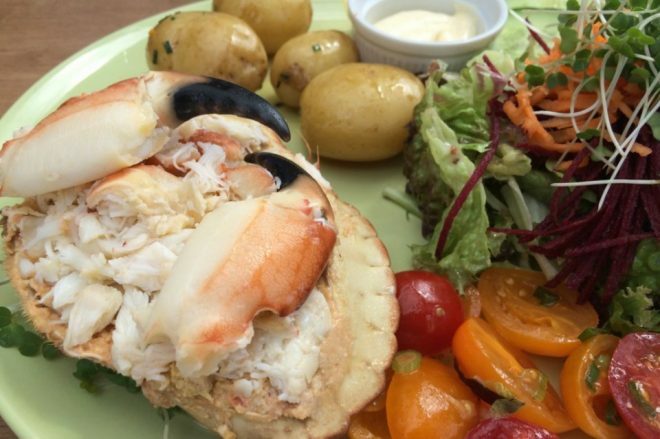 A menu to suit all needs, food cooked from fresh, Overstrand lobsters, marsh samphire, home baked breads and home churned ice cream from the kitchen when possible. The Roman Camp area is the highest point in Norfolk. The Inn is situated just a short distance from some beautiful walks over National Trust heath land. There is said to be evidence of Stone Age habitation and a Roman Camp on the National Trust sight. The Inn has an all day restaurant for fine food and a bar that serves real local ale. Enjoy an afternoon tea or take a stroll with a drink in the peaceful garden where they grow herbs used in the kitchen.